Very chic bathroom washstand shown in a real Oak veneers, but can also available in a Wenge veneer. This high quality washstand is shown as double but is also available as a single washstand. 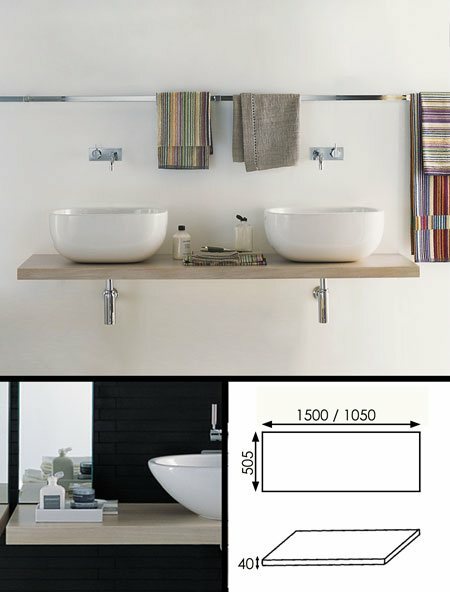 All bathroom washstands can be supplied with the basins, taps and chrome bottle traps and are shown as options. 1050mm long x 505mm deep x 40mm thickness. * Real Oak & Wenge veneers. * 01722 415000 for more info.